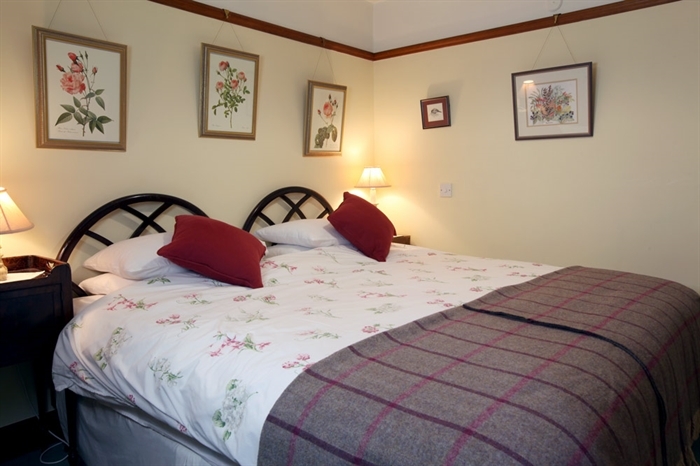 SHORT BREAKS AVAILABLE Noddsdale is a B Listed Country House, in the Arts and Crafts style, on a small country estate just outside Largs. 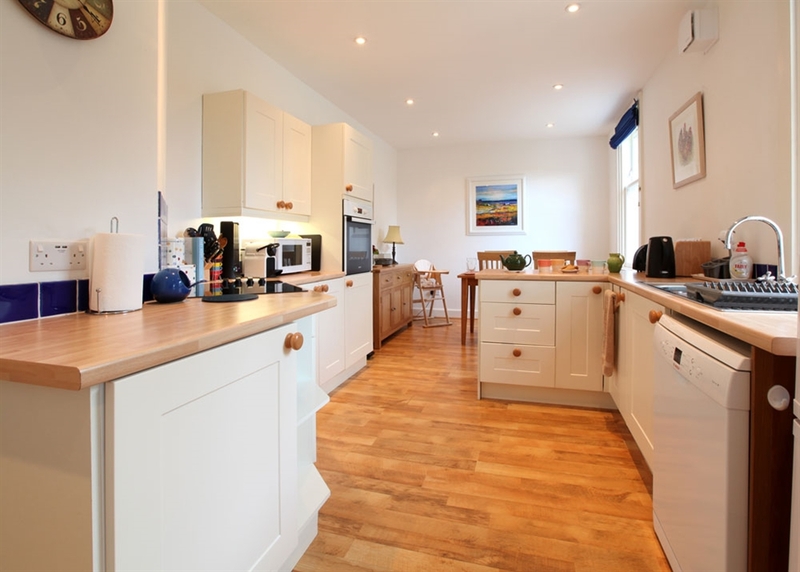 Set in mature grounds, it has 3 luxurious and beautifully appointed holiday apartments in peaceful surroundings with Willow Cottage added to the mix, there is something for almost everyone. 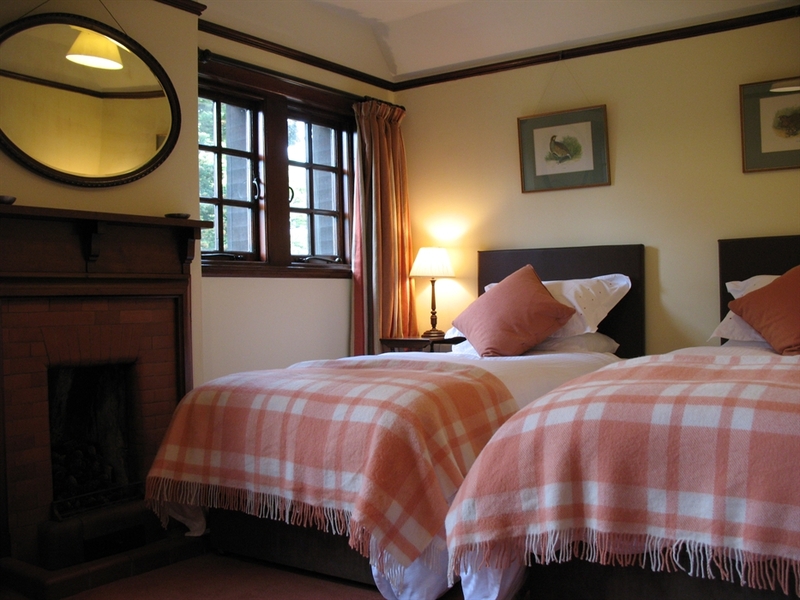 If you are looking for some peace and quiet and a get away from it all holiday then you are looking in the right place. 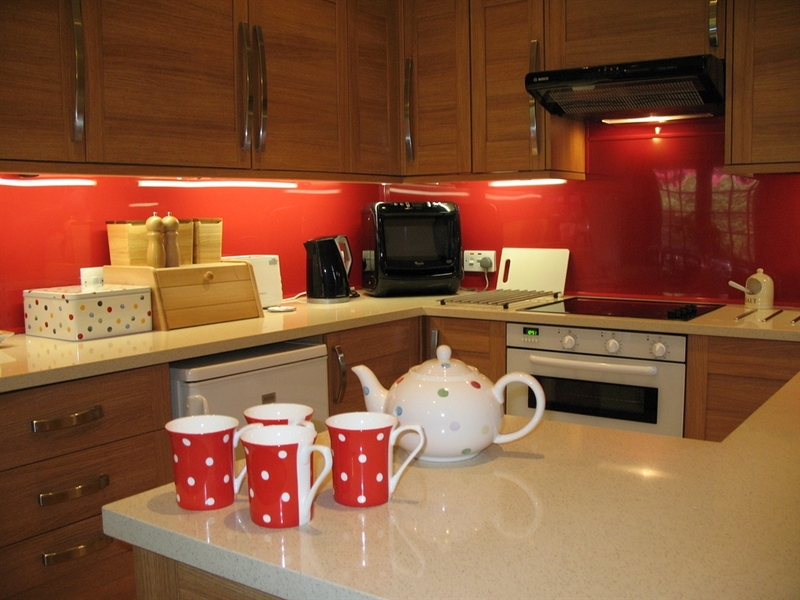 With 3 very different holiday homes to choose from there is something to suit almost everyone! 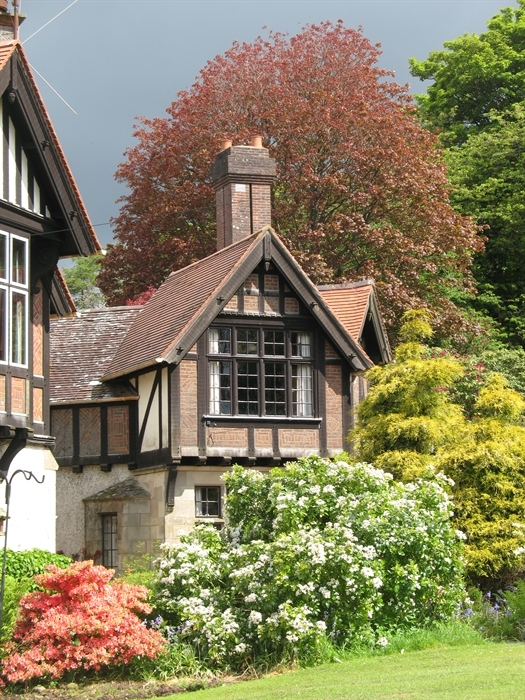 The Bell Loft was the former maids' wing of Noddsdale House and has been turned into a charming holiday home. It has 2 bedrooms, which can either be made up as super kings or twins, and 2 bathrooms, both with baths and showers, accommodating up to 5 people with a sofa bed in the living room. 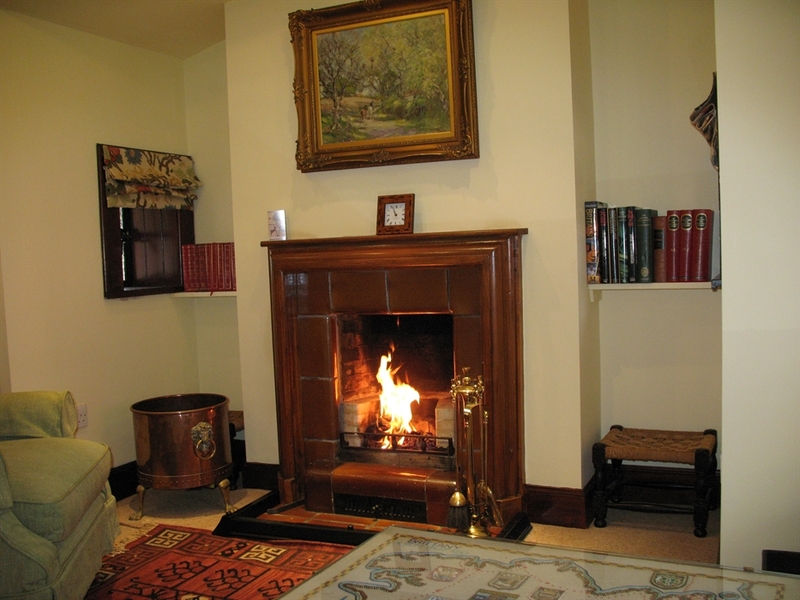 The kitchen, dining and sitting area all make up the living room where there is an open fire. The kitchen has almost everything you could want to use for your stay including a Nespresso Coffee machine - bring your favourite pods! Wifi is free and as well as the freeview television there is a DAB radio with bluetooth. There is a flight of stairs to reach the Bell Loft on the first floor. 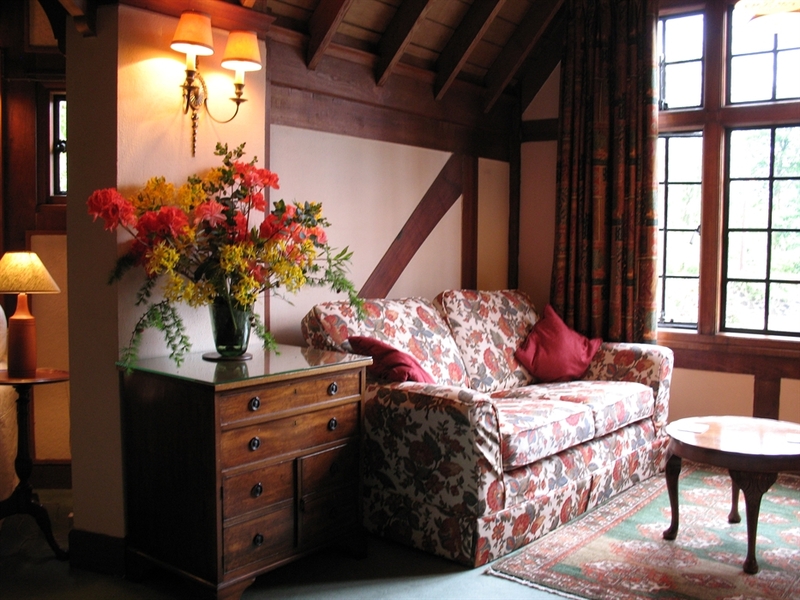 The East Wing is wonderful with a stunning wooden pitched ceiling in the sitting room which has an open fire. Views over the rock garden to the Firth of Clyde and the ferry to Cumbrae can be seen from the sitting room window, as can the birds at the feeding table! 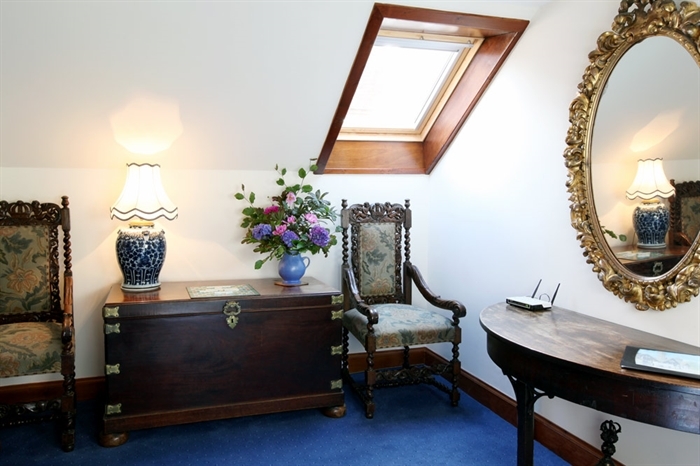 It has 1 bedroom, which can be made up as either a super king or twin, and a bathroom with a shower over the bath and can sleep up to 4 people with the use of a double sofabed/and or an extra bed in the hall. The kitchen was updated in 2016 and boasts a Nespresso Coffee machine - bring your favourite pods! Free Wifi and a DAB radio with bluetooth as well as freeview television and dvd etc. 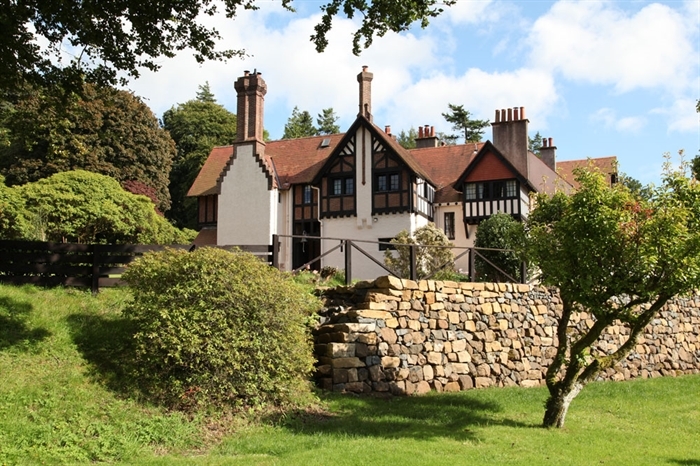 The East Wing is on the first floor of Noddsdale House and formed part of the original farm buildings, which were converted in the 1920s to create a guest wing as the house was rather full of children! With its own front door, entry is by a flight of ten steps. Children of 10 years and over are welcome in these properties but sorry, no pets in either. Plenty of space for parking close to the doors of the properties. 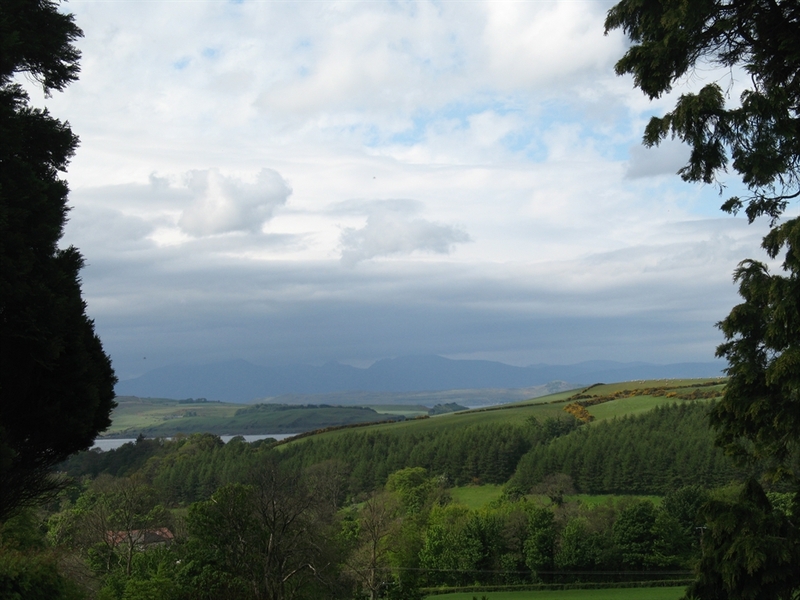 Walks up the hill to our hydro electric dam and views of the islands of Cumbrae, Bute and Arran on a sunny day from the top, and even Jura on a very clear day, are stunning and not to be missed! 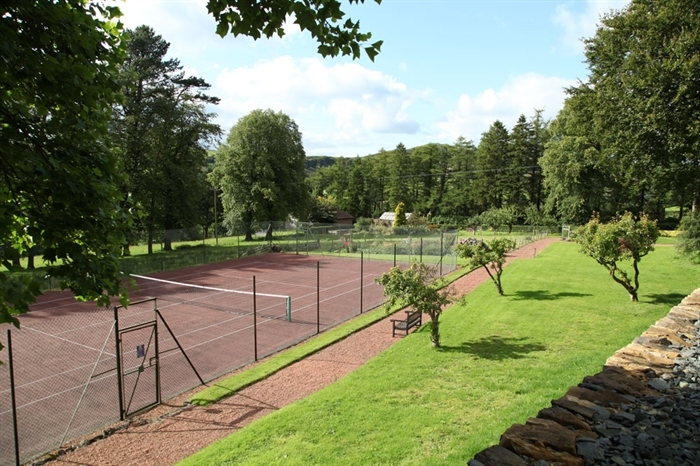 Out tennis court by the house is available for use and some racquets and balls are available to borrow - however, if you have your own, do bring them. 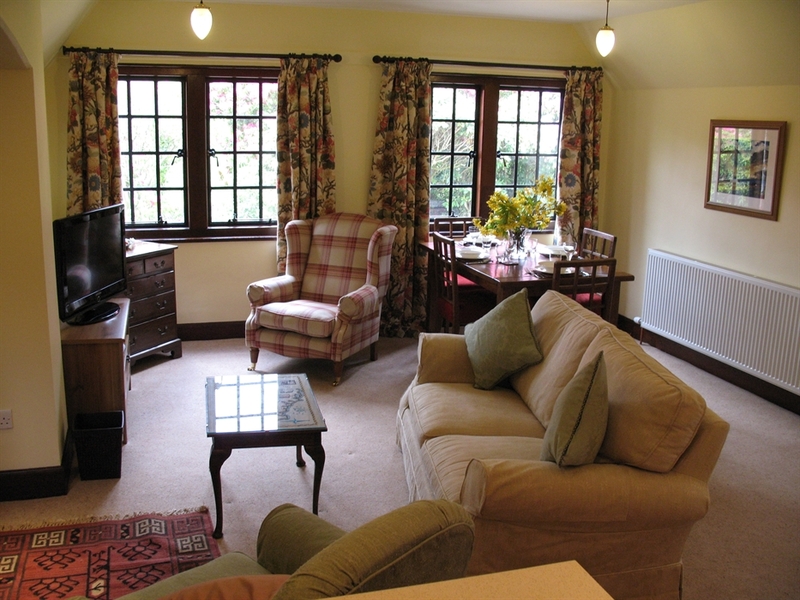 Willow Cottage is accessible, family and dog friendly. 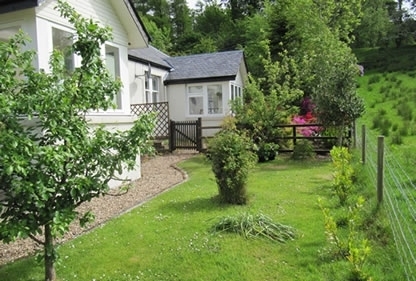 This is a semi-detached newly re-furbished cottage in the grounds of Noddsdale, by Brisbane Glen Road. 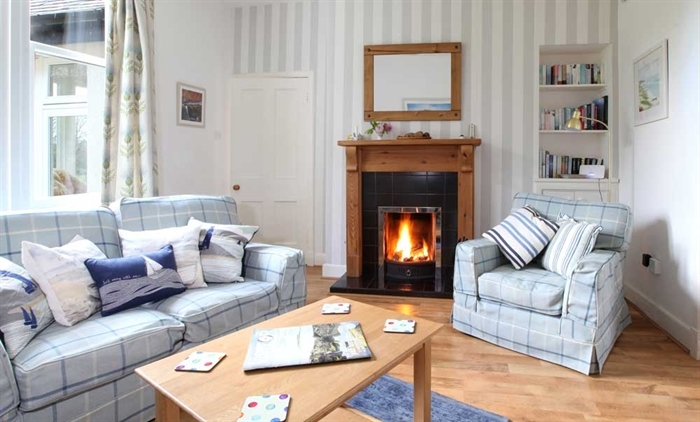 Set in its own enclosed garden, which has been lovingly created with a little pond (fitted with a safety grid) shrubs and flowers, this is a perfect place to enjoy a holiday for almost anyone. 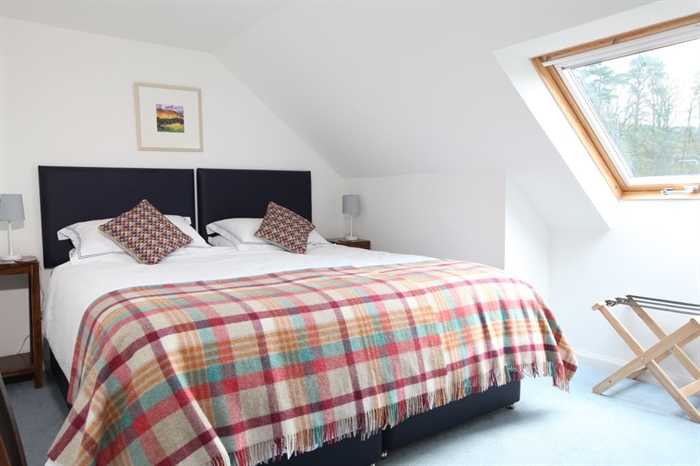 The cottage has 2 bedrooms with either super king or twin beds, one of which is downstairs, and a cabin size bedroom with a single bed and a travel cot. 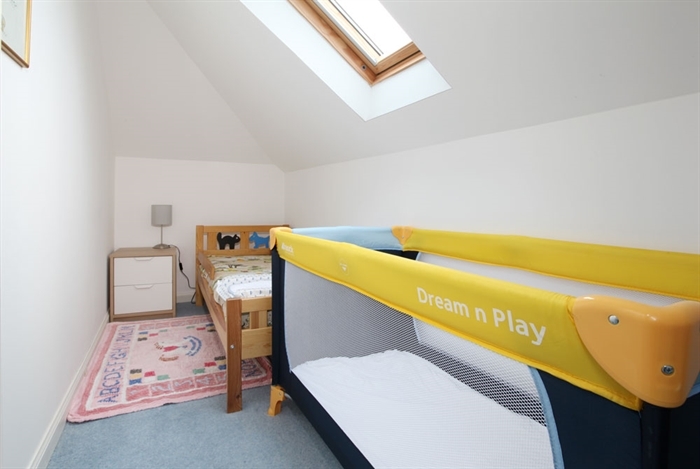 There is a bathroom downstairs and a shower room upstairs, stair gates, high chair, fire guard, a play table and chairs for the little ones. 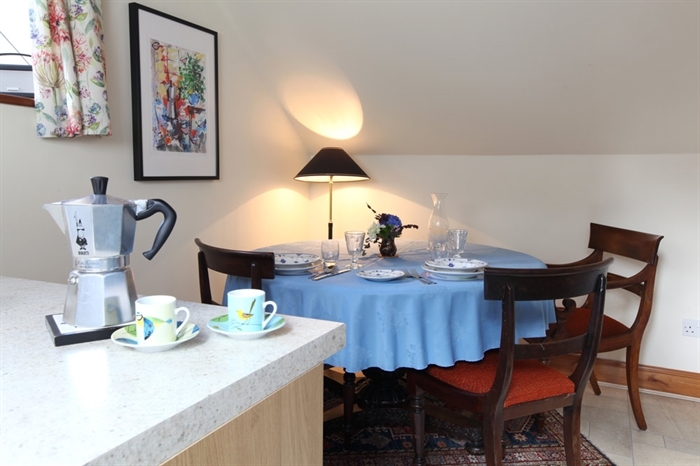 The kitchen/dining can seat 6 and the kitchen is equipped with almost everything you could want for your stay, including a Nespresso coffee machine - just bring your favourite pods! The sitting room has a television, dvd, free Wifi, an open fire, sofa, chairs, tables and a small library of books and dvds and games in the cupboard. The front door has steps up to the porch/sunroom, but there is a ramp to the back door entering through the utility room. Parking for 2 cars. Noddsdale is a special place to recharge the batteries or explore the area to your hearts content. 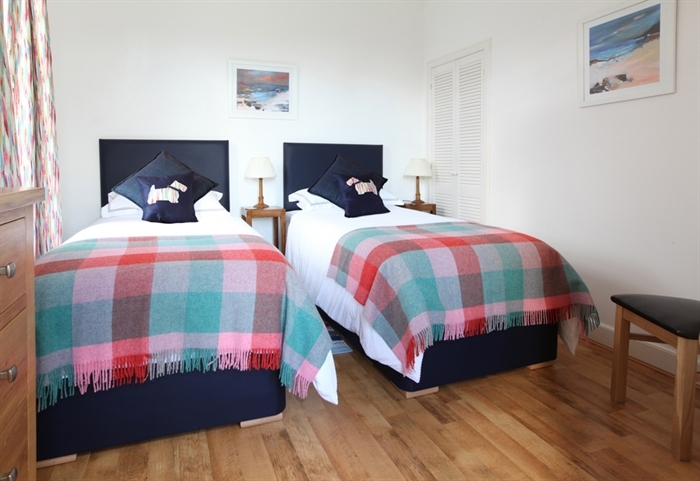 The beds are really comfortable and all bedding is allergy friendly with 100% British Wool duvets, pillows from The Wool Room and 100% cotton bedlinen with a high thread count to give you the best sleep - warm in winter and cool in summer. 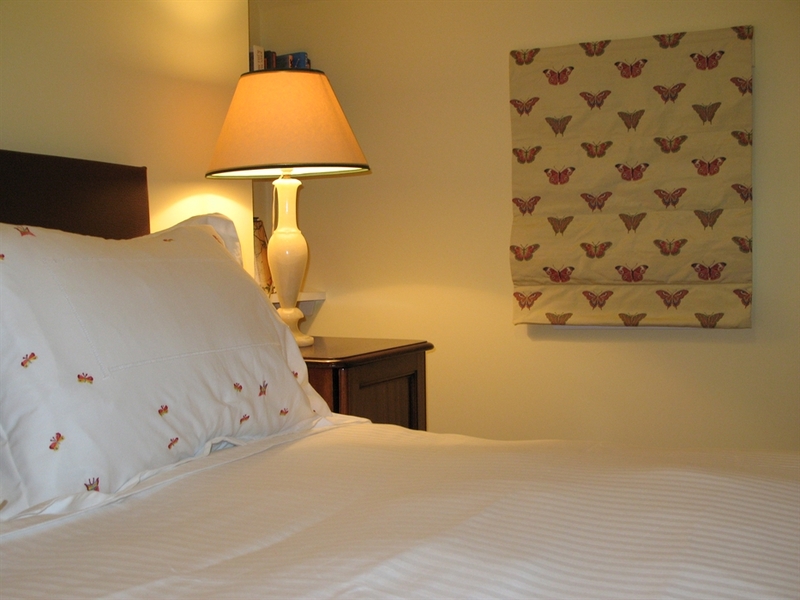 All linen and towels, heating and logs are included in the price. Noddsdale is two miles from the centre of Largs and within an hour of Glasgow and Prestwick airports. Ferries to Cumbrae, Bute and Arran are nearby and the paddle steamer Waverley offers trips on the Clyde and the Kyles of Bute to Loch Fyne in July and August. There are several golf courses close by. Largs is a bustling seaside town with some great places to eat. There is the world famous Nardini's restaurants and coffee shops with excellent ice creams; Scotts restaurant at the busy Marina to the south of Largs; Lounge in the Main Street, The Catch at Fins to the south of Fairlie to name but a few. Visiting castles, houses and gardens in the area is popular with the fabulous Dumfries House saved for the nation by Prince Charles, or The Duke of Rothesay as he is known in Scotland; Mount Stuart House on the Island of Bute; Culzean Castle south of Ayr; Inverary Castle on Loch Fyne; gardens at Benmore, near Dunoon and many more. Glasgow museums and shops are only an hour away by train from Largs or Wemyss Bay station. Food shops in Largs vary from the supermarket to the excellent fish shop, Cfayre, the Best Fruit and Veg shop, Patons the butcher, and the Deli with delicious cheeses and coffee. Mearns Macaskie at Wemyss Bay is a famous butcher with a cafe opposite the ferry terminal and train station.